This post is sponsored by Moe’s Southwest Grill; however, all thoughts and opinions expressed are my own. Around our home, we live eat and breath baseball. It’s just part of who we are as a family. I wasn’t a particularly big fan before I got married, but my husband was and so this was the sport we agreed to have our boys be a part of. Our oldest played from when he was 10 through to college ball. And the memories we have been blessed to make are too many to count. And now, the teenybopper who is 14, has been playing since he was 9 and we get to do it all over again. Only this time, our oldest coaches along with his dad while I perform the Team Mom duties and the memories are just as priceless as when our oldest son was a kid. After each game, we like to hang out, talk about the game and usually end up at a restaurant. 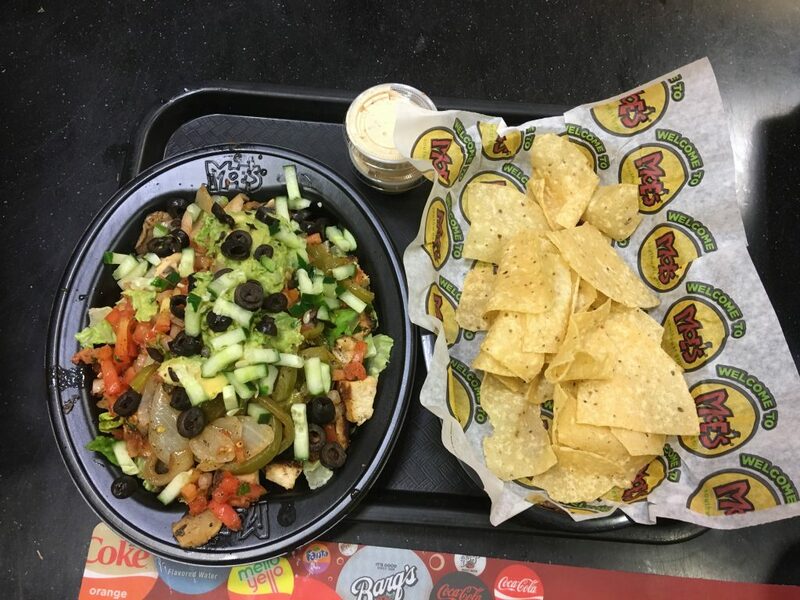 One of our favorite places is Moe’s. You really can’t beat the options, the fresh food and the price. It’s a great way for all of us to eat the food we want based on our dietary needs. And boy do we have some specific needs! I eat mostly Paleo, so my meals consist of meats, fruits and veggies. I don’t do the complex carbs, and Moe’s takes great care of me in that department. I can get a hefty salad with fresh guacamole that I know was made that day to satisfy my hunger. After all, being a Team Mom is no small task. The Head Coach (ie hubby and dad) is diabetic and also has chosen to go vegan in the last month. I can’t tell you how proud of him I am. For the first time in over ten years he does not need medication for diabetes. I am so grateful that I can’t even put it into words. Now, he’s a big guy with a big appetite, so he needs a good amount of food to keep him satisfied. 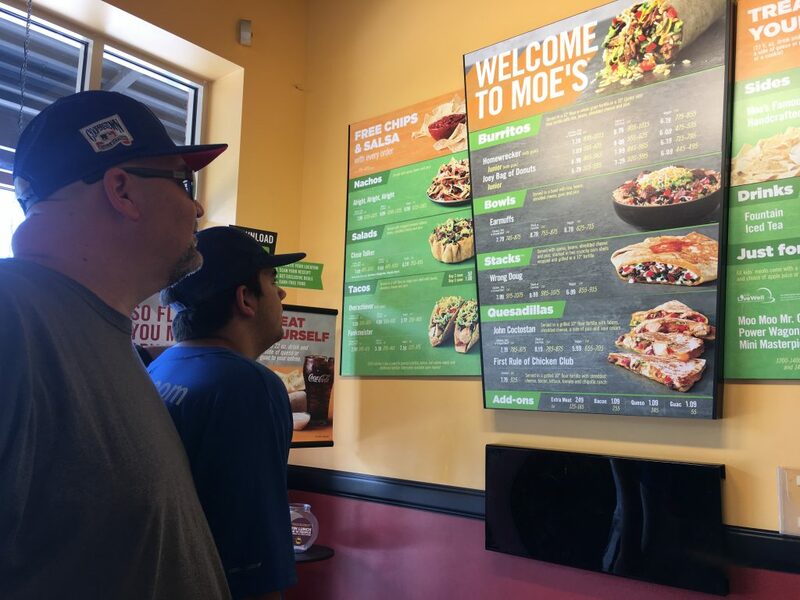 He has been militant about his food choices and Moe’s makes satisfying the big man easy with all of the fresh veggies, rice and beans at his disposal. And the FREE unlimited chips and salsa that comes with every meal sure help with that appetite. The teenybopper is the easiest to please with that monstrous teen boy appetite. Not to mention that he is an athlete after a game in the Virginia summer heat. I’m THAT mom who makes him have veggies with every meal. 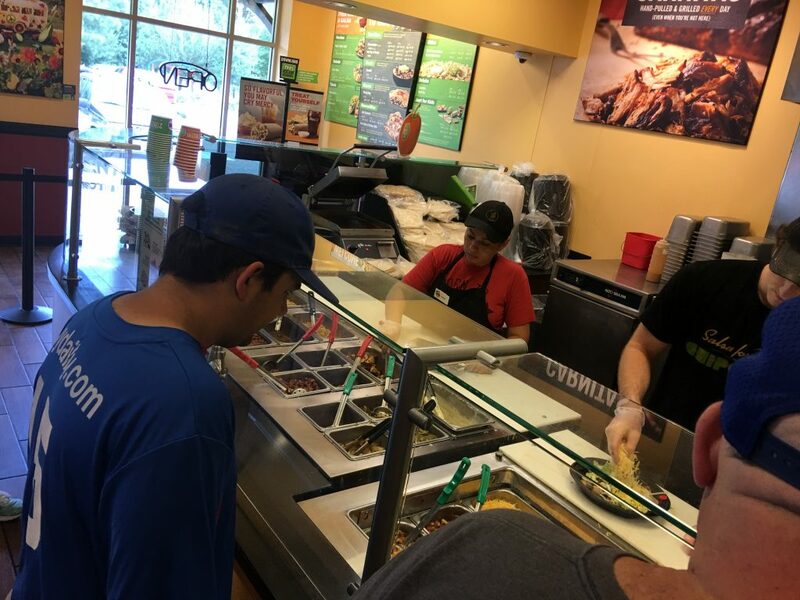 Moe’s 20+ fresh ingredients ensure he gets his favorite tacos and a salad bowl to make both himself and mom happy. Yes I call him my muscle head and really never to his face. OK, maybe sometimes. It’s actually a good thing he doesn’t read my blog. But alas, my love is a body builder and has the appetite of a horse. Do you see the trend with the men in this family? Big eaters. Anywho, he really loves this place. We all do, but he is the one who is most likely to suggest we come here when we want a quick bite. He also loves the fresh ingredients and if there is one person I know who loves a good burrito, it’s my Jr.
Ok, so here’s something really cool I didn’t know about M.O.E.’s.The acronym stands for Musicians, Outlaws and Entertainers. Between the wonderfully nice and attentive service, the clean and inviting atmosphere and the yummy, fresh ingredients, you can see why we practically live at this place. Also, you know my shtick about being an entrepreneur and how much it’s a part of who I am. Well, that means I I love to support local businesses and knowing that each Moe’s is locally owned and operated makes me a very happy customer. Have you been to MOE’s? What’s your favorite meal? 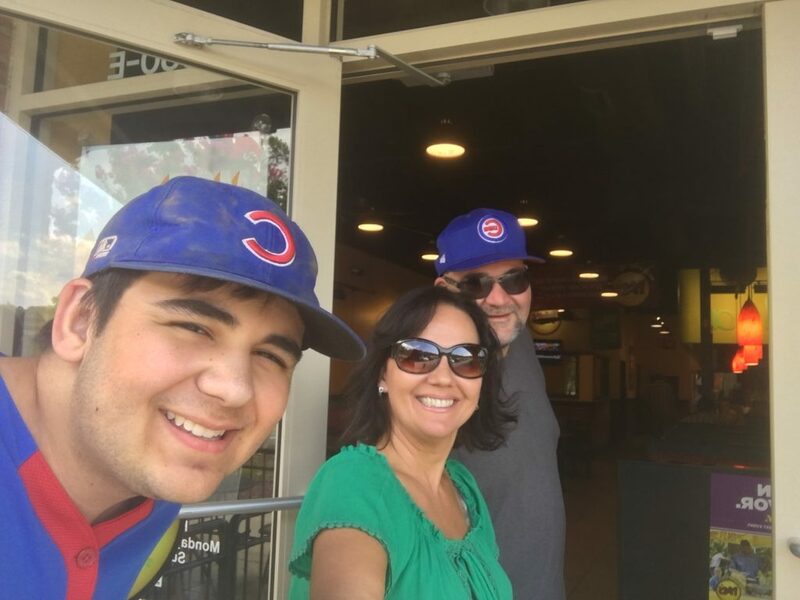 We love eating out together as a family after a baseball game. I am so sad that our youth baseball time is over, oldest son started college this Summer. I haven’t tried Moe’s before, but I think I may have to now! Looks amazing! I had never heard of Moe’s before but the grub does look mighty tasty. I love the fact that there’s a salad bowl that comes with the tacos. Great way to ensure that our teens are getting their veggies! We love taking in a great restaurant after my sons baseball game. It’s a tradition for our family too!! I’ve never heard of Moe’s before, but their food looks so delicious!! I’m a baseball Mom too! My son has been playing since he was 3 years old and he is 9 now! Eee! We come from a baseball family too – my husband played from elementary through college! They do come home with a big ol appetite when they finish a game. Love that Moe’s caters t everyone’s needs! My son plays lacrosse and my daughter plays soccer and we love going out to eat after games! We always end up at the same place! My son likes routine! Have long have you been keeping up with the Paleo diet? My mom is also thinking of starting it but it’s quite hard since there are restrictions to food choices. Has this helped you lose weight in any way? I loveeee Moes! I’ll chose them over Chipotle any day. I can easily vegan-ize their food too. There’s a Moe’s right near my campus and they have weekly discounts for us college students. A plus! How fun and something to look forward to after the game. I miss my boys being in baseball it was always so much fun. My oldest is 23 now and my youngest is 14 and has no interest in baseball, so sadly it’s over for us. Moe’s sounds like my kind of place! This sounds like a place we could go to. I don’t do carbs either, my husband is a big eater too, and I also insist my kids eat veggies in every meal. The family that play game and eat together, stays together. What a happy family you have! Wow, that is a big step going vegan. I couldn’t do it that is for sure. Pretty amazing you support him. I haven’t been to Moe’s, but everything looks delicious. I love how they have options for each taste and lifestyle. I would definitely try it!